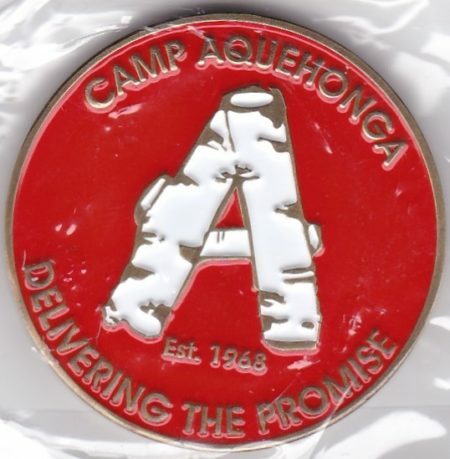 I’ve been on a run of posting many of the recent Camp Aquehonga Patches, here is something a bit different. 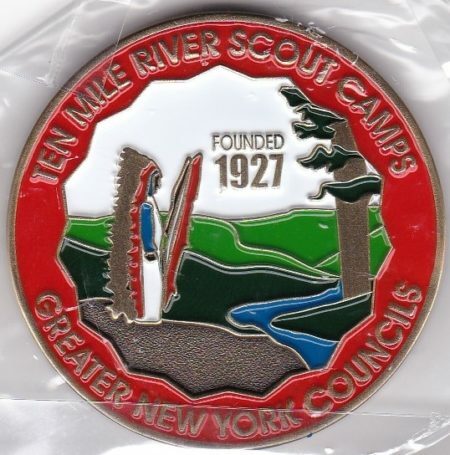 In addition to the 2 patches issued by Camp Aquehonga in 2018 there was also a Challenge Coin issued. and the reverse has the Indian Cliffs logo.